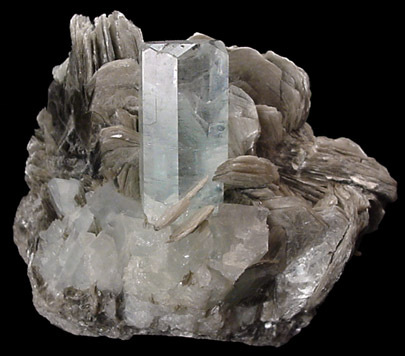 Description: Single crystal of blue aquamarine beryl 3 cm long nestled in 1 cm muscovite crystals. 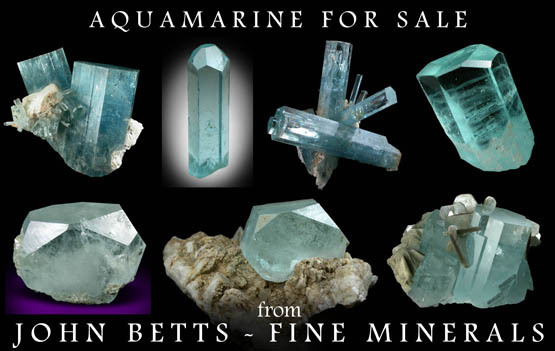 The beryl crystal is nearly water-clear and nicely terminated. 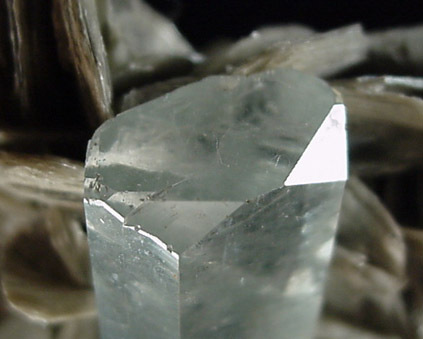 A small .5 mm flaw on the back side does not detract from the beauty of this specimen.